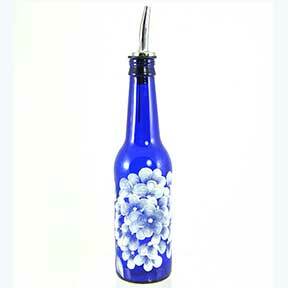 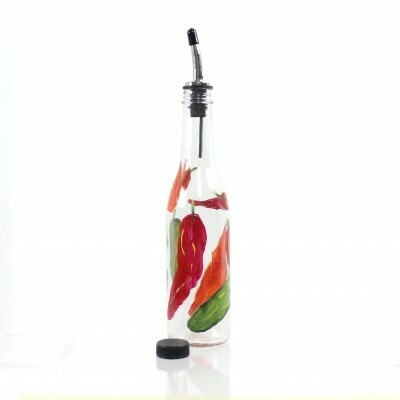 Hand painted and completely washable glass bottle with a pour spout. Use for oil and vinegar, soap, seasoned oils, or salad dressing. 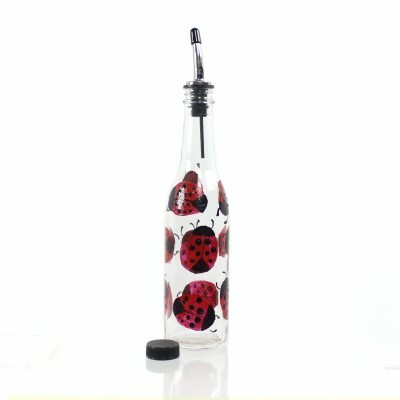 Each bottle is hand painted by me in the U.S. I use a sealer over the paint and then bake it to cure the paint. They are completely washable. In fact IF I want to remove the paint, I have to use a razor blade and a lot of effort.